When Jon Dollahite rolled onto the scene as an elite tennis talent at Orem’s Mountain View High School, the challenge was immense. The 4A classification had been dominated by one school in boys tennis, and at the time, Timpview was in his region. 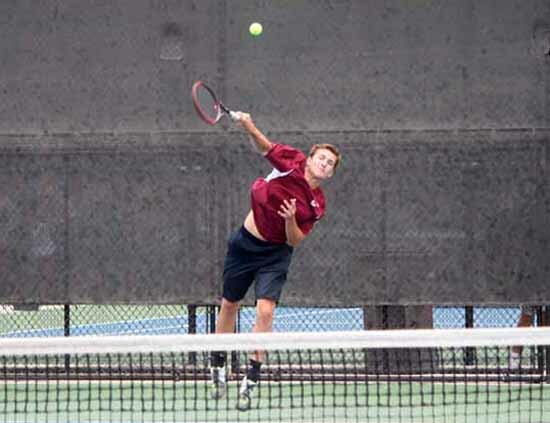 As an underdog freshman facing Utah tennis royalty in Timpview junior Matthew Pearce, Dollahite stepped up his game at the state tournament, pulling off the first singles shocker, knocking off Pearce in straight sets 6-4, 6-3. The win was part of a team victory as well as the Bruins won the 4A state title in 2013. As it turns out, that win over Pearce was the last high school battle between the two players as the Timpview star graduated early to move on to collegiate tennis. For Dollahite, it was just the beginning of the most special run of championships anyone could ever have. In 2014, Mountain View won a second straight championship, led by Dollahite’s second No. 1 singles crown. 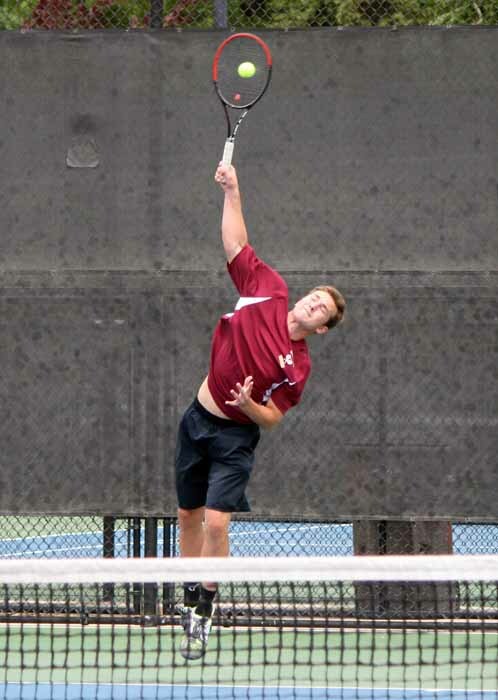 The sophomore did not lose a set at the state tournament and knocked off Timpview junior Paul Monson in the semifinals before ousting Caleb Brand of Olympus for state championship No. 2. Timpview was back on top of the team competition in 2015, but Monson could not end Dollahite’s run in first singles, as the Mountain View junior took care of the T-Bird senior 6-2, 6-3 in the state finale. This year, Dollahite put a balanced and dominant capper on his high school career with his fourth No. 1 singles title in succession. The balance came in the genealogy of the player he dispatched for this year’s championship, Timpview freshman Josh Pearce. With title wins over Pearce’s on both ends of his magical career, Dollahite left a legacy that can be equaled, but never topped. He lost just three games on his way to championship No. 4, winning 6-1, 6-0 in the first and second rounds, before taking care of Ryan Boddington of Skyline 6-0, 6-0 in the semifinals. His win over Josh Pearce was 6-0, 6-1. In an era dominated by Timpview boys tennis, with the Thunderbirds having won 13 of the last 18 state titles, that two-year interruption at the hands of Mountain View is an impressive piece of the Jon Dollahite story. More impressively, during his four years as a Bruin, no one touched Dollahite on the court. He will interrupt his tennis career for two years to serve a mission for The Church of Jesus Christ of Latter-day Saints and when Dollahite returns, he will play collegiately at the U.S. Naval Academy.